We are a photography studio centrally located in Jacksonville. We count with a 2,000 square foot studio equipped with all lighting, backdrops and props needed to make spectacular photos. We would love for you to come and visit! We are a team of professional photographers with an extensive technical background. The two main photographers, Severine and Luis, both have a degree in Fine Art from the University of North Florida with a concentration in photography. It is extremely important for us to stay up to date on all the latest technology and styles of photography so we constantly participate in workshops and conferences all around the country. We provide professional headshots, family, newborn and group photographs at our state of the art studio. We work by appointment only as we provide strive to provide an excellent service to our clients and want you to have all our attention at the time of your session. We work on location for architectural, family sessions, commercial photography, and even headshots if you have a large group to accommodate. 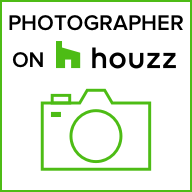 We specialize in photography for builders, architects, and interior designers. Contact us today to set up your session and to talk about your photography needs.